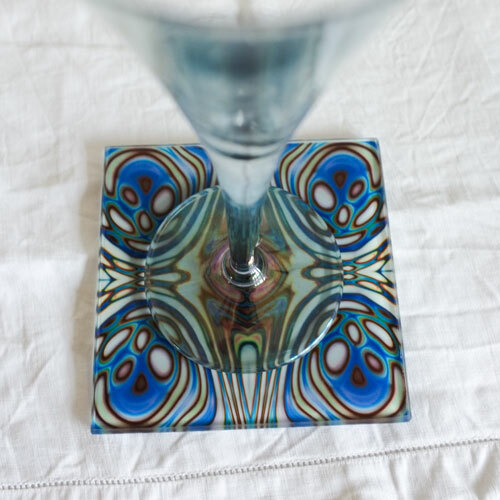 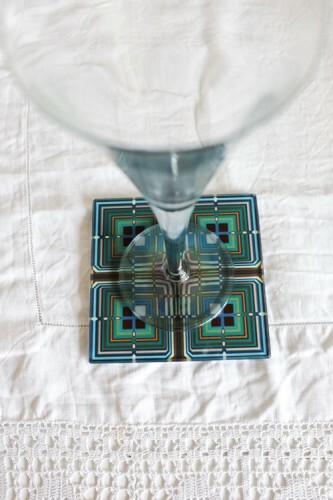 I’m just starting to produce smooth topped glass coasters. 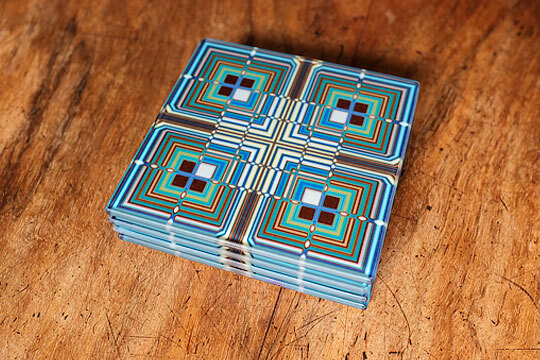 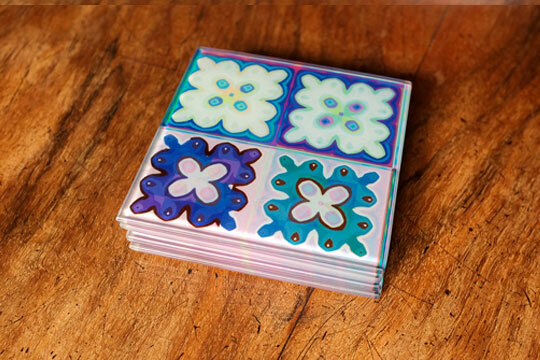 100mm x 100mm (4″ sq approx) in sets of four. 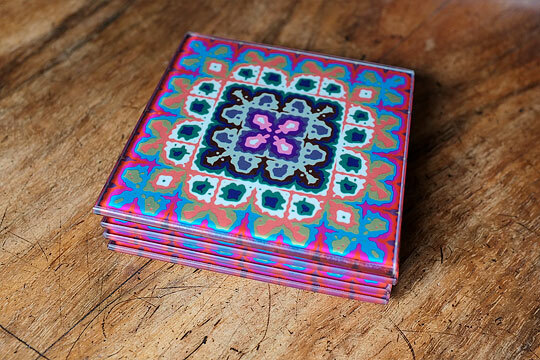 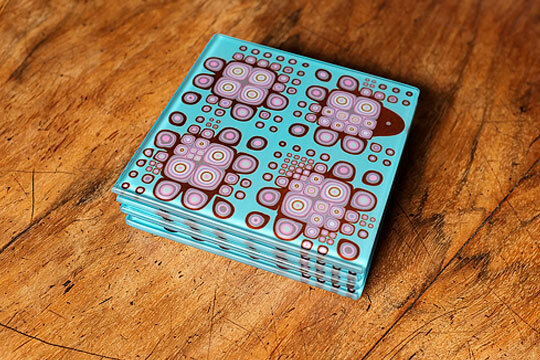 As with tiles they can be printed with any of my designs.